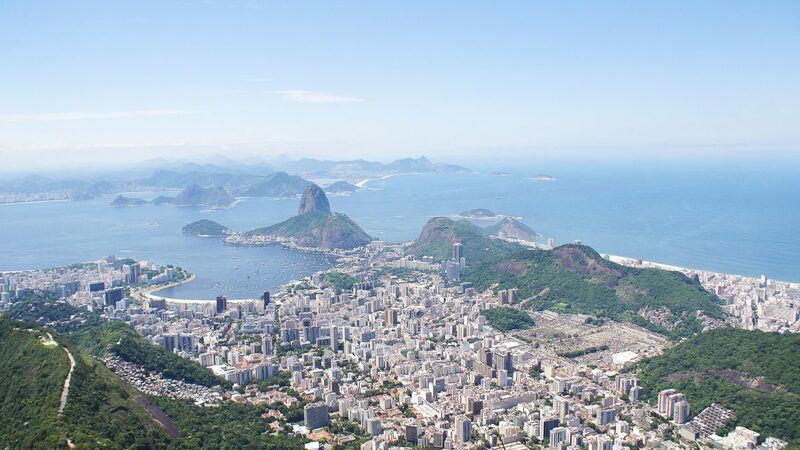 Been the destination of more than 45% of the foreigner tourists who come to Brazil, it is more than clear that Rio de Janeiro is the favorite Brazilian destination for those coming to visit the country. Home of Brazilian postcards like Christ the Redeemer and Sugar Loaf, Rio de Janeiro is a must for any traveler or tourist. However, some security measures are necessary to make sure you will be able to visit Rio de Janeiro safely and not get a headache instead. The first thing people ask me when I tell them I`m Brazilian is if I have been to Rio de Janeiro and if it is a safe destination. Well, if you check the news, you will probably get as scared as I did before visiting Rio for the first time. My boyfriend`s family is Carioca (it`s how we call those who were born in Rio) and they all told me not to worry about the news. The thing is, Rio is definitely a dangerous place if you end up in the wrong area, but you can’t think of Rio as being a battlefield as a whole. Of course there are dangerous areas that should be avoided, and of course, accidents happen. However, the tourist areas in Rio (these are probably the areas you will want to visit, hopefully) are quite safe and secure, there are police everywhere and good support for tourists. Like any place in the world, it is always good to always pay attention, nowhere is completely safe and although Rio de Janeiro can be more dangerous than other places, it is definitely not a reason to avoid a trip there. 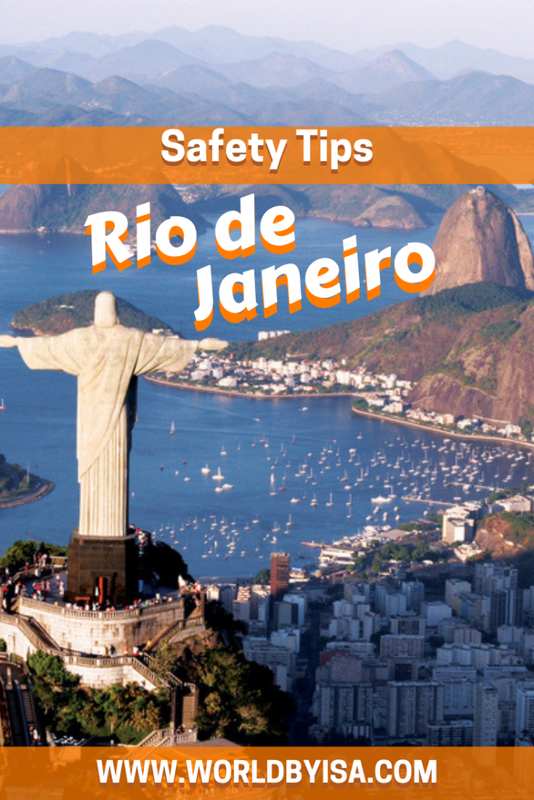 Here are some safety tips for those planning a visit to Rio de Janeiro. Is Rio de Janeiro Safe? How to Stay Safe in Rio. When walking on the streets look at your sides and back, pay attention who is around you. I’m not saying to raise doubts about every single being that comes close to you. But pay attention and watch out. If something doesn’t seem right, or if you start questioning someone’s action, try to get inside the next shop you see and wait for this person to pass or stop in the street, pretend you are just taking a break and wait for the person to pass by. I know it is a pretty normal thing to do, sometimes you need to call someone, or check something on your phone like a map or something like that, but avoid playing with your phone on the streets. Stealing phone from people on the street is the most common crime we have here. If you feel the need to check your phone, look for a shop, supermarket or mall to get in so you can check it. Wearing jewelry or watches in the streets of Rio de Janeiro is a big NO. Don’t wear gold, gems, big watches, nothing valuable. To be honest, it is good to avoid accessories even if they are fake, after all, not everybody knows the difference between original and fake gold. The best way to walk around Rio de Janeiro is bringing the less with you on the streets, so avoid walking around with your luggage, leave all the big bags at your hotel/hostels, try picking the smallest bag possible to use on the streets and only bring the essential, the rest you can leave with your luggage at the place you are staying. Crossbody bags are the best in this case, you won’t need to spend time worrying too much about your belonging knowing there are safe, tied to your body. I recommend you not to walk around the city wearing brand clothes. Try to be discreet, wear basic color, simple clothes, don’t try to be fancy if you are not planning to lose your clothes in the middle of your trip. Pick simple shoes, don’t take your Nike shoes for a walk there. It is fine if you are going for dinner or something, but definitely, don’t take your fancy clothes as a uniform for Rio. Largo da Lapa is the place in Rio de Janeiro, where you find that famous aqueduct. Really nice, from a certain distance. Unfortunately, it is not a safe zone, on one side you will find nice pubs and many policemen on the street, you can definitely sit there and have some drink. But don’t get too far from the pubs’ area. It is a dangerous place where many thieves stay. There are two ways to climb the Cristo. First is by the stairs or ecologic trails, second is taking a van. Although it can sound fun to climb the hill by your own, it is not the safest way, unfortunately, there are many reports of people being robbed or abducted there, so in order to avoid it. Take the van. There are many companies that offer the service to climb to the Christ the Redeemer, when I went there I took the tour by Corcovado Car Service. The best zones in Rio are the South Zone and Central Zone, the South Zone is where you gonna find the best beaches like Ipanema, Copacabana, and Leblon. Neighborhoods like Flamengo, Botafogo, Urca are great for tourists as they are close to the main tourist attractions, these are the best areas to stay, in my opinion. Rio de Janeiro’s downtown called Centro in Portuguese, as well as Lapa are also two other good neighborhoods to stay, however, they require more attention at night. Both zones are relatively calm and safe part of the city, there are many hotels in both areas where you can stay. Not a reason to don’t have cautions though. Of course, there are neighborhoods that you should avoid at max, although, most of them receive a lot of tourists every year. Favela da Rocinha, is one of them, this is probably the most famous slum in the world, and definitely not the safest area to walk around, however, tourists insist in going there for ‘tourism’ or for the sake of adventure. They like to picture Rosinha as the safest favela in Rio, and for a while it really us, but it is still a favela and you never know when things will warm up. Zona Norte is another area you must pay attention, it is where you will find Maracana and the Samba Schools, however, there are many dangerous areas in this region and is better avoided especially at night. I know it is inevitable to don’t go out at night sometimes, as we all have to have dinner, also there are some activities that are better to be done at night, etc. But if you can avoid it, please do. During the night it tends to be more dangerous. If you do get out during the night, measure where you are going, and strongly consider taking a Uber. In my opinion, this is the best way to visit Rio de Janeiro. Ubers are really cheap, as it is elsewhere in the world. Taxis tend to be quite expensive and sometimes they will try charging tourists more. The good thing in taking a Uber is that different from buses they can avoid some areas and choose different ways to get to a specific place, as they know the city better than us tourists, and know very well what areas to avoid. If you are driving around Rio de Janeiro or taking a Uber, you will prefer to avoid tunnels, as there are many cases of “arrastões”, where the thieves close the tunnels and rob every car inside it. Normally the drivers already know this fact and try to avoid tunnels after a certain hour. I know that going to the beach is about relaxing yourself, drinking some coconut water and free your mind from worries, but it is always good to take precautions to make sure you will really free your mind. Don’t bring valuable things like expensive gadgets to the beach, don’t bring a million dollars either. Try to bring the essential. If you are in a group, why bringing everybody phones and cameras? Bring one or two instead. Why bringing your whole wallet full of dollars? Bring a credit card for lunch perhaps and some few papers for water and ice cream. Also, don’t leave your belonging alone in the sand while everybody goes swimming. Though Rio is a well-known destination, there are much news about the hidden dangers in this city. 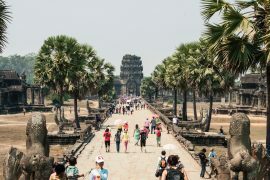 This article provides a lot of information and tips for travellers. Thank you so much!! Yeah, people tend to avoid this kind of information, but it is SUPER important to let people know! Thanks for sharing these tips. I heard Rio can be dangerous, but I am sure that if people follow your tips most likely nothing will happen. Great post. That’s so true, after all it is never enough to be careful, doesn’t matter where you are! Wow I didn’t know Rio is dangerous to this extend. These are some great tips, thanks for sharing! I loved Rio when I visited and had no problems luckily. I got the train up to Christ the Redeemer though some friends walked and had no problem. I even went to a nightclub in the favelas overlooking impanema beach, was an amazing experience watching sunrise from someones roof. Yees Rio is amazing when you get to enjoy it without worries!! I’m so happy to hear that you had a good staying here!! Yeees!! Do come though, you will be amazed!! This is a great post, I think a lot of these suggesting can also apply to any travelers. Always best to keep your eyes out and be smart about what you show off. Thanks for the tips. These are wonderful tips! It’s good to know you should take a van to Christ the Redeemer instead of trying to walk! There are some very important points here about safety whilst visiting Rio. I agree with your points and following these should make Rio safe. I didn’t know about the possibility of being robbed on the stairs on the way up to Christ the Redeemer, this is good information to know before visiting. I agree with a lot of these tips for lots of places in South America! Lima as well can be quite dangerous, especially if you don’t know which neighborhoods or areas to stay away from. Thanks for sharing ! Yeah, I had spent a good amount of time in Sao Paulo and tbh never saw anything bad happening, thanks God, but it is always important to be careful! Don’t bring valuable things with you. Interesting post, thanks. I think also – don’t go to places where you’re alone, like if a street is very quiet, avoid it. Appreciated this article very much! It makes me feel safer after hearing your advice. LOVE this post! I have always wanted to go to Rio (haven’t yet but will one day !) and so many people have tried to deter me saying how unsafe it is. I couldnt agree more!! Tbh, you can be unsafe anywhere in the world, but if you do your research and learn how things work in any place, you will be fine. This article is really good, thank you. I very much want to visit Brazil, especially Rio, so I will keep all these things in mind. I assume it might be a little tricky if you bring a camera that you want to take lots of pictures with as that makes you a target too? Any tips for dealing with that? To be honest, many thieves just wait for the perfect tourist kind of person, and a camera does make you look like a tourist kind od person. I would suggest you to bring the camera in your bag the whole way, and only take it of in the place you want to shoot, also I wouold suggest you to don’t go alone if it is possible and avoid going to a calm place, try to stay close to other people in case you need help. Thank you for all these practical and important tips for Rio. Safety should always be the priority and these definitely will help do the same. Thank you for all these great tips!! I had heard about the cell phones, but didn’t know about the Largo da Lapa area or going out after 7pm. Super helpful!! Good travel guide. I’ll surely use it whenever I’ll visit Brazil. Thanks for sharing. This is a great post, I know I’m not alone in wondering how safe Rio De Janeiro is. Thank you for clearing this up and offering some fabulous tips! I absolutely loved Rio when I visited, but you are right to encourage people to take precautions. I didn’t know that stealing people’s cell phones was so common because I never experienced that. I mostly stayed in tourist areas and was very careful to always be safe. And it’s lucky that it’s pretty easy to get a cab in Rio at night. Rio is a well-known tourist destination in the world. I don’t understand why Brazil’s government and tourism are not taking serious action to protect the city. Thanks for sharing the great tips with us! Yeah I guess it’s always had a reputation for being unsafe. I just remember a few years ago there was a much heavier police presence (particularly around Lapa) and there were less people sleeping on the streets. Maybe it was just my perception… There’s no solution in the world anywhere in the world with these types of governments are there? We need to try and create our own communities and support each other as much as possible in these difficult times. Thats so true!! Unfortunately this is viral! But indeed after this crises we feel that the number of police men on the streets decreased. I just hope that someday the government will realise how valuable Rio is for us and will start focusing in making it a better place! That is a long list of safety precautions. I’m getting a feeling that one has to be extra extra cautious everywhere. Thanks for this. Will keep in mind. I love Rio. This is asmall caution I have to offer from way back in 1967 on Copacabana Beach: I was on the beach in August, 50 years ago, with two fellow Canadian CUSO teacher travellers, George and Ian, and was writing a letter to my girlfriend in Trinidad, where I taught from 1967-1967. My friends were talking to two pretty Brasileiras who were passing. Something like Jobim’s Girl from Ipanema… Then George exclaimed, “My pants are gone!” His wallet was in them… To add insult to injury, he couldn’t take the bus back to our “hotel” because they wouldn’t let him on. He was not wearing long pants! Ian and I laughed … a little – OK, maybe a lot. I hope you can now get on a bus in Rio without long pants. My caution: make sure your pants are on, or at least in your hand, while you flirt. Thank you for following my blog 🙂 I have described my 1967 trip around South America there too. hahahaha I’m sorry for your friend but I also laughed alot!! Moral of the story: Pants are a very important piece of your outifit! Unfortunately this show how fast things happen in Brazil, and I can assure you that from 1967 to 2017 little has changed regarding this kind of events.